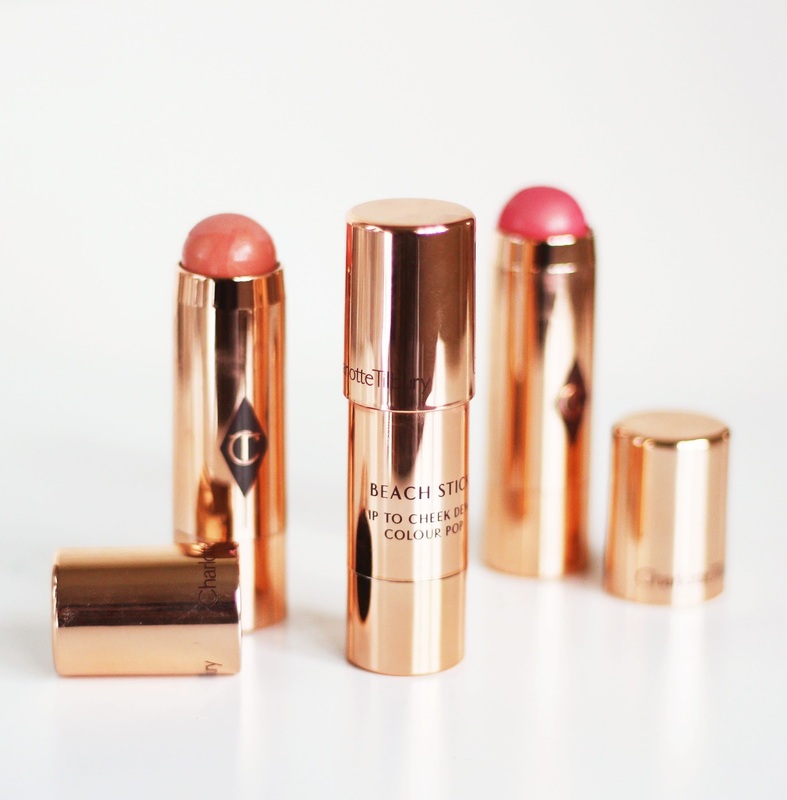 I've mentioned Charlotte Tilbury's beach sticks here and there across my blog, so you already know I love them. They're perfect products for Spring/Summer, and I'm finding myself reaching for them more and more often, and thought it was about time I gave them a dedicated review. 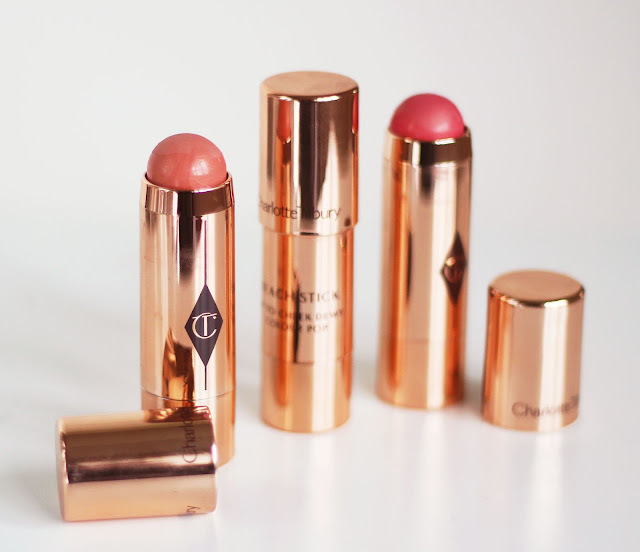 Charlotte Tilbury's beach sticks are your "holiday summer glow" in a bottle that provide "a pop of dewy, youthful colour in one effortless stroke of these easy, twist up colour sticks". They come in five shades, of which I have three: Ibiza, Moon Beach and Las Salinas. According to Charlotte, the shades are "inspired by unique lighting, golden sands and bronzed goddesses of Ibiza"*. Do I agree? Definitely. The only shade I was a little disappointed with is Moon Beach, which is a shimmering peach. It's just not what I expected, is all. It is too dark to be a highlight on it's own on my pale skin, it's more of a highlight blush. That being said, I love wearing it as a blush because the shade is so stunning and reflects the light beautifully, it's so summery. I bet this is going to look amazing going out of a summers evening, with my cheeks catching the sunset (too cheesy?). These are fabulous, innovative products. They remind me of the Nars multiples, but these are much more luxurious and luminous (the Nars multiples range from matte, shimmer, bronzer etc). The texture of the Beach Sticks reminds me of a tinted balm. They have a lot of slip to them and glide onto the face easily, and blend out even easier. These are the only products I am happy to blend with my finger. Yes, they're that easy to work with! The colour pay off is really nice, and the shimmer in each shade really shows without being overpowering or glittery. Each shade catches the light so beautifully. Which colour catches your eye? 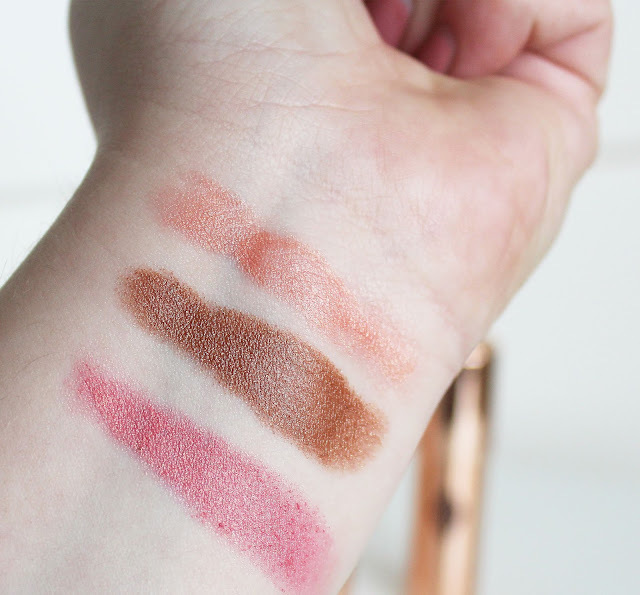 I've always been quite curious about these and my main concern was the lack of slip as most sticks (whether they are foundations, blushes or highlighters) tend to be quite difficult to blend, but I'm happy that these ones aren't! The shades are gorgeous as well! Lovely review! I've got Moon Beach and Ibiza and love them actually! Las Salinas is a little too pink for my skin tone. It's such a great formula although if I blend too much, it actually disappears so I have to be careful!